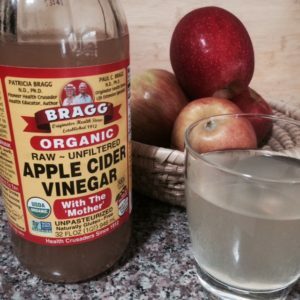 Keep in mind there are several ways to support your body’s natural detoxification process… This is just a fun recipe for a drink that utilizes the benefits of apple cider vinegar, a probiotic-rich food I wrote about in a previous post. It’s full of enzymes and good bacteria for the digestive system. Lemon juice helps balance blood sugar and is a great source of vitamin C which supports the immune system, among many other things. Cinnamon has been shown to help balance blood sugar as well and support a healthy metabolism. Cayenne pepper contains a compound called capsaicin has been shown to have protective and healing effects on the stomach. It may also help decrease hunger and increase feelings of fullness. I personally drink this beverage upon waking or going to bed, but it can be enjoyed at any time during the day. Some find it especially helpful before meals. Mix all ingredients together with spoon and enjoy. Continue to stir while sipping as cinnamon will sink to bottom of glass and create a "sludge" that may not be appetizing.